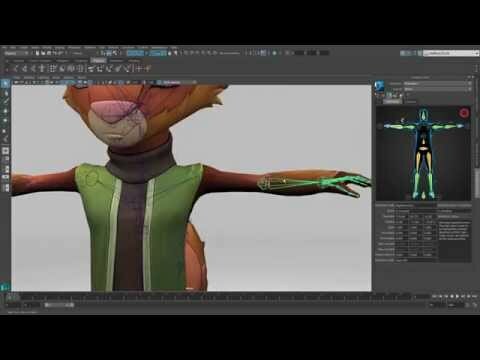 Maya LT™ 3D animation and modeling software speeds the 3D creative process for experienced indie game developers and is easier to learn for new users. Shape Editor improvements - Create detailed animations and corrective blendshapes. Automated LOD generation - Create and transfer level of detail data for 3D game assets. Built-in sculpting tools - Use sculpting tools directly in Maya LT. Improved modeling and UV tools - Get a more intuitive workflow. Modeling and UV tool improvements - Improved modeling and UVs with mirroring and symmetry. Indie-friendly game modeling tools - Develop characters, props, and environments. Improve game model efficiency - Create efficient 3D models for better performance. OpenSubdiv library - Model faster with subdivision surfaces. Time Editor - Nondestructive, clip-based nonlinear editor. Graph Editor improvements - Perform common tasks more quickly and easily. Export/import skin weight maps - Gain more flexibility and transferability. Improved animation tools - Explore Spline IK and Cluster Deformation tools. Roll bones in HumanIK - Supports up to 5 roll bones for better limb deformations. Quick Rig tool - Automatically generate and place HumanIK rigs. Animation tools for indie game makers - Bring your game characters to life faster. Character skeleton creation - Built-in skeleton generation tools based on HumanIK. Geodesic voxel binding - Bind 3D model mesh to skeletons. Texture baking workflow improvements - Supports physically based area lights. Physically based shader materials - Create high-quality materials within Maya LT. Improved Turtle baking tools - Better artistic results with more baking tools. Lighting and texture baking - Simulate realistic game lighting. Model material tools - Create and edit materials with intuitive tools. UV editing tool - Intuitive visual feedback simplifies UV creation. Substance material integration - Work with Allegorithmic Substance materials directly in Maya LT.
Workspaces - Quickly switch between task-specific UI layouts. 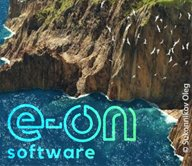 Powerful workflows with Stingray game engine - Art-to-engine workflows make game creation easier. Get Stingray - Access the Stingray engine with a Maya LT subscription. 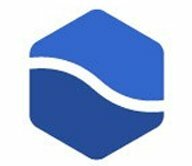 User-submitted workflow improvements - Vote on user-submitted feedback. 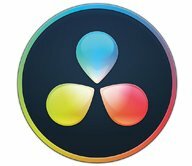 Creative Market integration - Buy 3D content directly from Maya LT. Updated Game Exporter - Create object sets and set key frames in the Exporter. Game engine export tools - Asset export to Unity or Unreal. Send to Mudbox - Sculpt and paint a model via Mudbox export. Game Exporter tool - Improved export for static and animated game objects. Built for indie game development workflows - Workflows for indie game makers. MEL scripting - Simplify and customize your workflow. Powerful and accurate viewport - Powerful viewport previews. Cloud integration - Share assets with Dropbox, A360, and 123D apps. Export directly to Unity and Unreal with custom export tools. Or, use the game exporter to get your 3D content into your engine of choice. Quad draw, multi cut, bevel, and symmetry enhancements make modeling more efficient. Physically based area lights are now supported, providing higher-quality light and shadows for Turtle texture baking workflows. File texture nodes now support image sequences, letting artists visualize prerendered game effects or rotoscope animations using animated image sequences on image planes. Intuitive toolsets designed for nontechnical artists help you create, edit, and adjust game model materials. ShaderFX, a real-time, node-based shader editor, helps less technical artists create shaders that closely match the target game engine without manual coding. Build UV maps more easily with Unfold3D, which helps you create and edit UVs with visual feedback systems and define your own UV seams using intuitive selection tools within the viewport. Color-coded or checkerboard visual feedback systems give you easy-to-read visual feedback that highlight problem areas on the UV map. Efficient UV unfolding algorithms enable artists—even novice 3D modelers—to see the results and make adjustments quickly. Workspaces are defined user interface and tool layouts that you can select from a drop-down menu. Choose Workspace presets for everyday tasks like modeling, sculpting, UV editing, rigging, and animation. You can also create and save custom UI layouts that fit your workflow, making it easier for you to work the way you want. Maya LT subscribers can get access to Stingray game engine software. Game makers can use a professional 3D animation tool and a modern 3D game engine with seamless art-to-engine workflows to build their 3D games. Maya LT 2016 includes several workflow modifications based on the aggregated feedback of Maya and Maya LT users. Artists can submit and vote on current suggestions by using the Maya LT feedback site. Users can search, browse, and buy 3D content on the Creative Market directly from Maya LT.
Game makers can also use the Creative Market to sell their content. Adjust asset exports more easily with two updates. First, create and name object sets from within the Game Exporter by selecting them in the Viewport. Users can also set and adjust animation key frames in the Exporter, which will create corresponding updates in the Time Range. The UV Editor's most recent settings now persist through a Maya LT restart. You can reset them manually with a new Reset UV Editor UI command. Skeleton coloring is no longer automatic when you use the Bake Deformer tool. In previous versions of Maya LT, whenever you created a new skincluster, a color would automatically assigned to the skeleton. Game Engine Workflow with 3D modeling and animation in Maya LT. Learn how to xxport your 3D work to Unity or Unreal Engine.